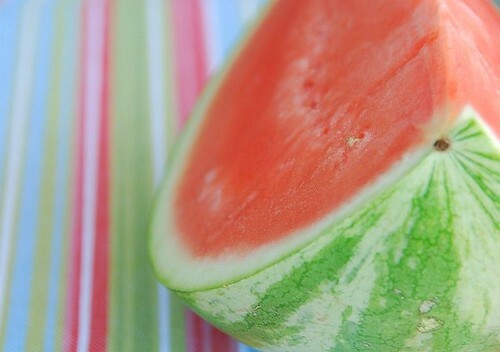 I'm on my way to the market to buy some watermelon and other goodies for our Fourth of July cook-in. Yup. Cook-in. Sure, I could do a cook-out. We have two grills in our condo unit. But I and 218 other people will be vying for them all weekend. So I'm skipping the cook-out and doing a cook-in. We'll still have the usual Fourth of July suspects -- sweet corn, potato salad, watermelon -- just no hot dogs and hamburgers. A grill pan, no matter how good, is no substitute for the real thing. I'm also making homemade limoncello with my dad, which should make us feel better about not having char-grilled hamburgers. Limoncello always makes us feel better. 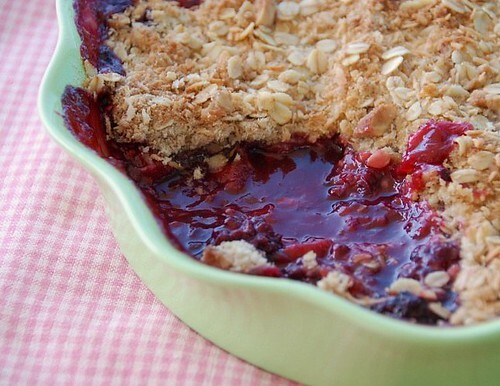 Whether you celebrate this Fourth of July indoors or outdoors, here are some recipes that will no doubt make you feel better. So will watching the fireworks lighting up the nighttime sky. Happy Fourth of July! 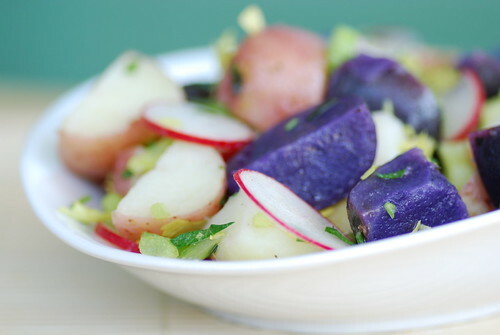 Farmers' Market Potato Salad: This salad was selected as one the "Greatest Hits: 2010" by Cooking Light staff. The corn looks fabulous. May be giving that one a go this weekend! Wow! I want to use this menu for my holiday weekend; everything looks absolutely incredible! Personally I adore this recipe I found for a flag cake, just a sheet cake and some delicious fresh fruit! Here's the link if anyone is interested! 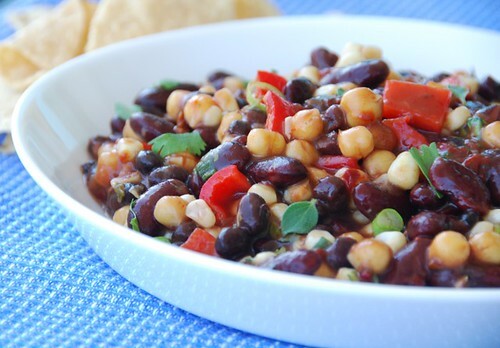 I really like the bean and corn salad. Thanks for sharing. 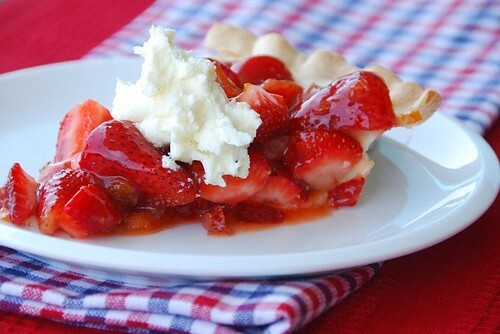 It will be on our 4th of July menu. Have a fun-filled long weekend Susan. I never have any doubt that you will be eating well. My mouth is watering - which to try first - the corn, the pie, the potato salad. oh dear. maybe all of them. All of these recipes look fantastic! I want those burgers! If your family is there, I'm sure you'll have a great day! Happy 4th, Susan! olivia-I wish I had the patience to do projects like flag cakes, but I never do. Hope your holiday is fun! rockies-I hope it is. It's a crowd-pleaser! 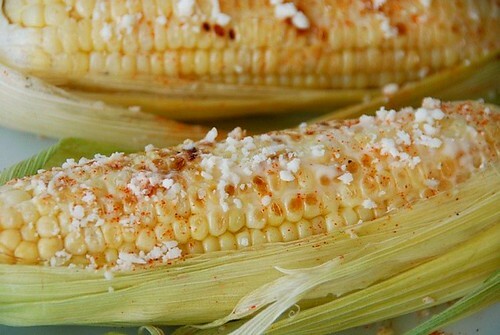 Elote! 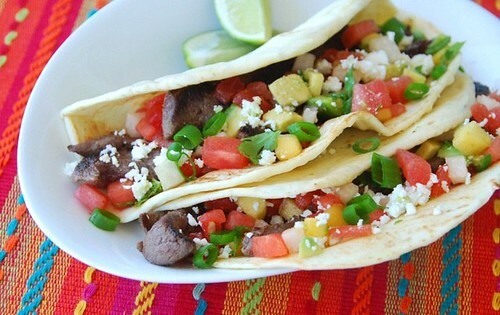 The great thing is that you can make that without a grill. Thanks for sharing the recipes! oh my, I wish I had all of those as options this weekend! The heat here usually makes our cook-out mostly 'in' anyway! Your patriotic potato salad looks fantastic. Happy 4th of July! Wow! I shouldn't have looked at this before I ate! Every single one of these options look amazing. Loving the burger and the tacos! Happy Fourth Susan, In or out your food is amazing! Have fun with your dad making limoncello. I also like the corn salad..Did you have it today?Today is 4th of July.Please tell me how you like it.. Fantastic, festive recipes - all worth staying in for! Can't wait to hear about your limoncello! Everything looks delicious. Hope you had a good 4th! Of all those dishes, I don't know if I can pick a favorite... they all look amazing! All the colors are gorgeous. The chili-lime fruit salad looks especially refreshing. Hope you had a wonderful 4th! 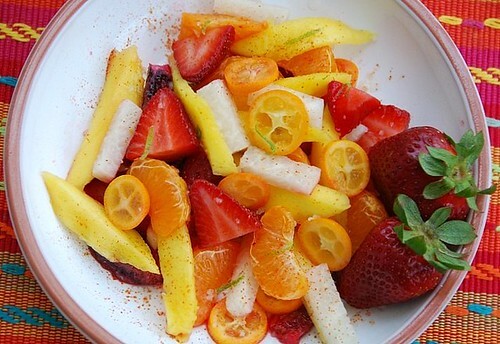 That chili lime fruit salad looks amazing! OK, all of the food does, really :) Hope you had a fabulous weekend! It all looks so good! Can I come over to your place next Fourth of July? Who needs a grill with food like this!! !Everything looks amazing and I am really intrigued by the chili-lime fruit salad! Love your colorful patriotic post! 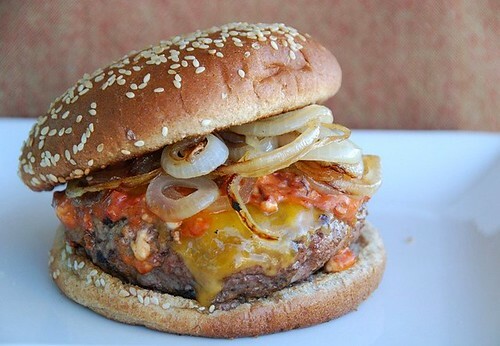 My oh my - that hamburger looks incredible.